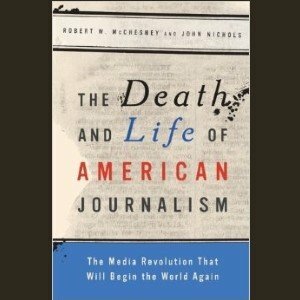 In their new book, The Death and Life of American Journalism, Robert W. McChesney and John Nichols demonstrate that the crisis in American journalism precedes the Internet and the current economic turbulence stems from the hollowing out of journalism under corporate control, which has increased dramatically since the late 1970s. Moreover, they argue, the problem is rooted in the longstanding tension between advertising-supported, profit-making media and democracy-sustaining journalism, and they debunk notions that old media firms can successfully migrate to the web or that the blogosphere will magically meet our journalism needs. McChesney and Nichols discussed the future of American journalism and took questions from the audience at this special Annenberg Research Colloquium. Watch the the discussion.